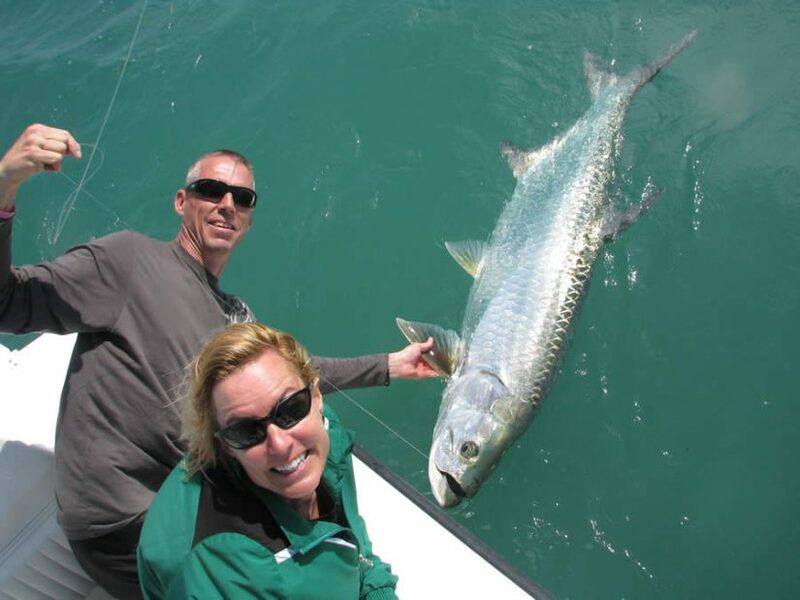 With opportunities to land incredibly fierce species like wahoo, sailfish, barracuda, and shark, not to mention one or all of the legendary “big three” (tarpon, permit, and bonefish), Key West sportfishing is nothing short of a thrill-a-minute angling adventure. When it comes to all-out fishing adventures, there’s no place in the world quite like Key West. No matter what kind of angling experience you’re after, this sun-drenched Florida outpost can deliver it. In fact, one of the biggest challenges you’ll face is narrowing down your choices. Key West offers more species of fish and more varied environments to target them than just about any other destination. From sight fishing bonefish and permit fish on the flats to live bait trolling for monster sailfish, Key West has it all. And while many people are happy just to land tonight’s dinner, others come to Key West for the high octane thrills of sportfishing. You’re pretty much guaranteed to have a blast either way, but there’s something truly special about landing some of the hardest fighting fish in the world. And better yet, even the most inexperienced angler can have the time of their life sportfishing in Key West. From delicious yellowtail snapper and black grouper to trophy fish like Tarpon, Sailfish, and Marlin. You can catch all of them in Key West. So you’ve come to the right place if you’re after the most electrifying outdoor adventure of your life. Here’s what you need to know about the joys of sportfishing in beautiful Key West. Key West also offers great nightlife at the over 100 bars that are located on Duval Street. Accommodations to suit all travelers: hotels, resorts, and guesthouses. There is also a huge selection of restaurants. Broadly speaking, you can target two types of fish in Key West. The first type is comprised of ‘table fish.’ These include delectable species like mutton, snapper, grouper, and more. The second group is comprised of ‘sport’ fish. These are the monstrous beauties you’ve seen on fishing shows all of your life. You know the ones– the huge, powerful fighting fish that pose an incredible challenge even to the most experienced anglers in the world. We’ll get into the different Key West game fish species in just a bit. In the meantime, let’s have a look at some of the best ways to go after them. Spend just a few hours in Key West and you’ll hear exciting, mysterious phrases like ‘offshore fishing,’ ‘fishing the wrecks,’ and ‘reef fishing.’ And that’s just naming a few. What’s really important is what all these methods share in common– the opportunity to target (and catch!) some of the most ferocious fish in the world. Also known as ‘blue water fishing,’ offshore fishing takes place at a variety of depths and sites in the waters of Key West. One of the best methods for offshore sportfishing is trolling. This is because hard-fighting species like sailfish and mahi are often found near debris piles in these areas. It’s simple really. Lots of smaller fish are found swimming near these piles of floating debris. And wherever you find large groups of small fish, larger predatory species are certain to be there too! Offshore sportfishing requires a bit of patience, but hooking a sailfish or wahoo makes it more than worth the wait. In the winter months, sailfish and wahoo congregate on the edge of reef and boats target them trolling or drifting live bait. These fish can get huge, truly a fish of a lifetime. Incredible sportfishing opportunities abound near the Great Florida Reef and around Key West’s legendary shipwrecks. Although the techniques and bait needed are a little different, both reef and wreck fishing will put you onto an incredible variety of dazzling fighting fish. We’re talking species like sailfish, barracuda, amberjack, and several varieties of the majestic shark that will test you and your tackle. Key West offers a wide array of wreck fishing opportunities. There have been numerous ships sunk around the island since people have been coming here. There are deep water wrecks on the Atlantic side such as the USS Curb, a decommissioned World War II Naval ship sunk in 1983 to create an artificial reef. There are also a host of downed airplanes and submarines, many the victims of the war and the Germans, and there are even old treasure ships dating back before the 17th century. History and aura aside, these wrecks sit in 150+ feet of water and can hold a huge variety of gamefish species. There are also dozens of wrecks on the Gulfside of Key West. These are often in less than 100 feet of water. The gulf wrecks tend to hold more cobia, than in the Atlantic but there is a lot of overlap on fish species. Both hold snapper and grouper, kingfish and barracuda. Both can hold amberjacks depending on the season. The excitement of wreck and reef fishing in Key West ‘runs deep’. With the right guide and equipment, they both offer some of the most exciting outdoor adventures you’re likely to encounter. And like any kind of sportfishing in Key West, they’ll give you memories to last a lifetime. You don’t have to be a certified professional to go sportfishing in Key West, but landing a hammerhead shark isn’t the easiest thing in the world either. Also, keep in mind that water conditions in Key West change on a daily basis. This means you’ll need hit the right hole at just the right time to get the most out of your fishing trip. 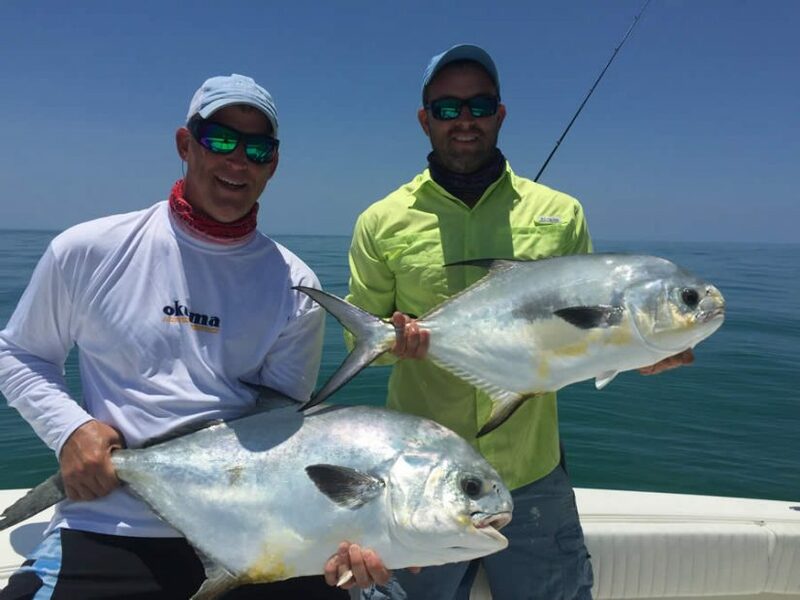 Of course, you could also rent a boat and go it alone if you are the adventurous type, but having a good a good Key West charter or guide by your side will eliminate the guesswork and let you and your party get down to the serious business of sportfishing. That’s where an experienced guide like Captain Pepe from Seize the Day Charters, who’s been taking passengers on incredible sportfishing expeditions for years, can simplify things. But regardless of what you choose to do here, you are not likely to be disappointed with the fishing or the total experience that is Key West. For the vacationer, In terms of its unforgettable tropical views, incredible seafood and exciting nightlife as well as other sublime island attractions, Key West is hard to beat. However, for the thrill-seeking angler in all of us… well, it is a place where fishing dreams come true. When you consider the fact that you can fish for the likes of the elusive permit along the edges of the island’s pristine flats or target big, bruising amberjack over historic offshore wrecks – all as part of a day’s adventure – it becomes quite clear that there are really few places on earth like Key West. But combine all that island charm with some of the best fishing on the planet, what you have is a vacationing angler’s paradise! 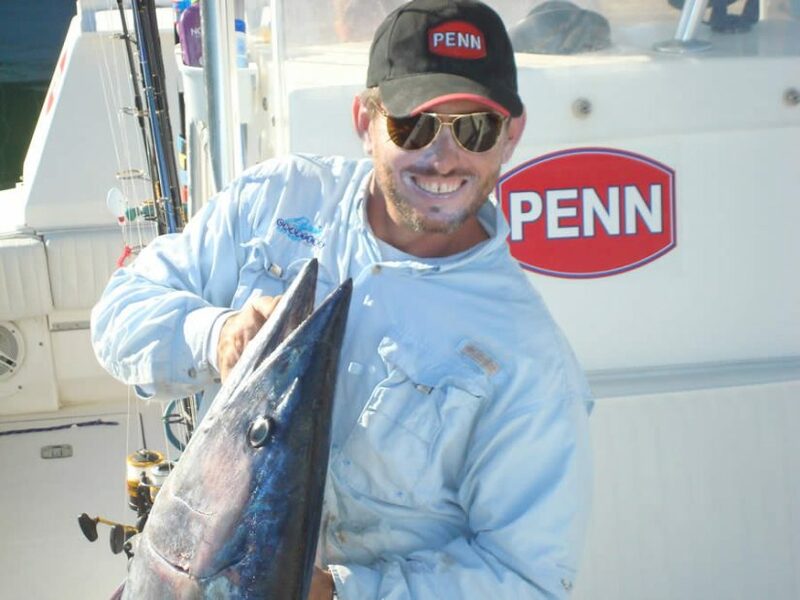 Author Bio: Ben Shepardson is a long-time Key West resident, an avid sport fisherman, and the owner of web design company Lake View Studios. This entry was posted in Fishing Locations, Recreational Fishing on August 30, 2018 by Dorado. I’ve been lucky enough to visit Key West on multiple occasions but have never had the opportunity to try sportfishing there. Looks like I’m really missing out!